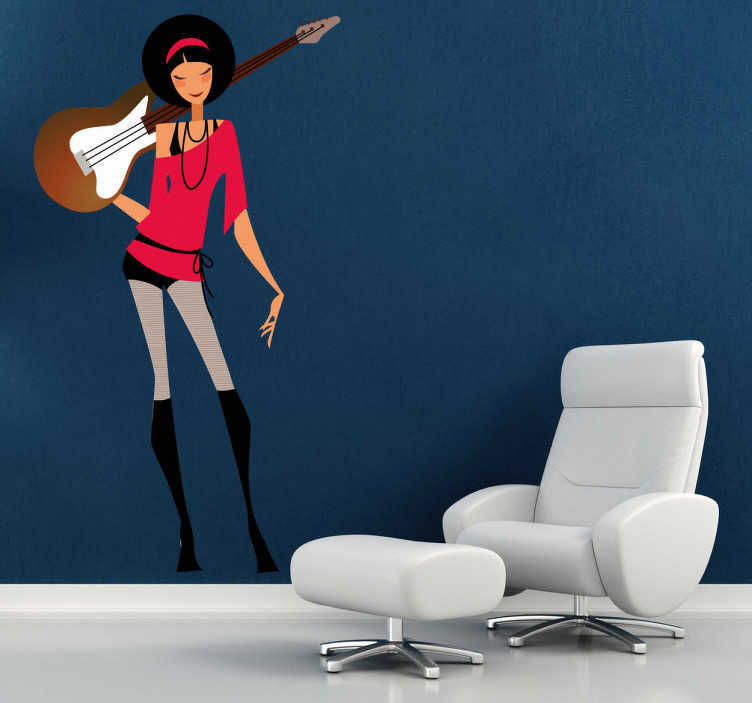 Decorate your home with this great decal from our set of guitar wall art stickers a woman in rock outfit with an electric guitar on her shoulder. Brilliant fashion decal to give your wall a glamorous touch, while creating a simple, straightforward design! This fashion original sticker is available in different sizes and for all smooth surfaces.